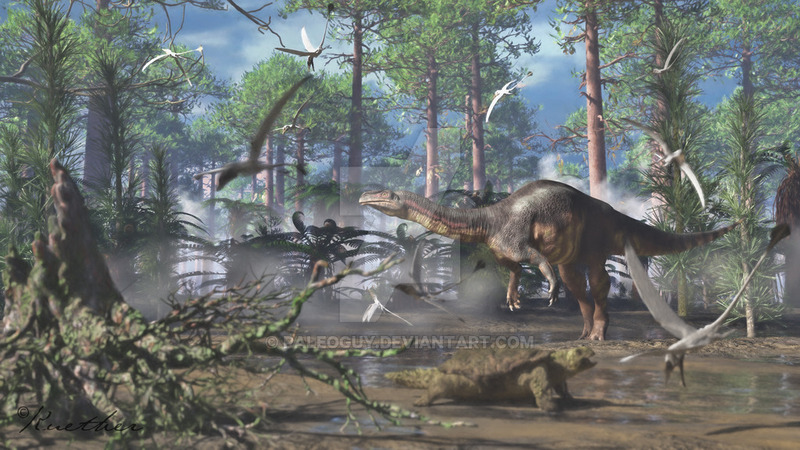 Plateosaurus was approximately 28 feet long and weighed in the neighborhood of 1500 pounds. 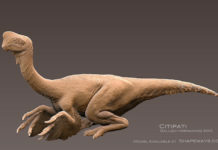 It is known for its long neck and tail, and for its 5-fingered hands that it may have used for picking things up or for defense. . It’s fingers each have a small claw on them, but its thumb has a larger claw on it. 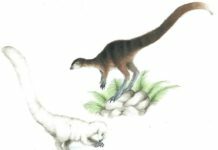 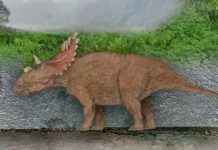 It’s currently unclear what this larger thumbnail was for, although some paleontologists have hypothesized that it may have been used to saw off plant material. 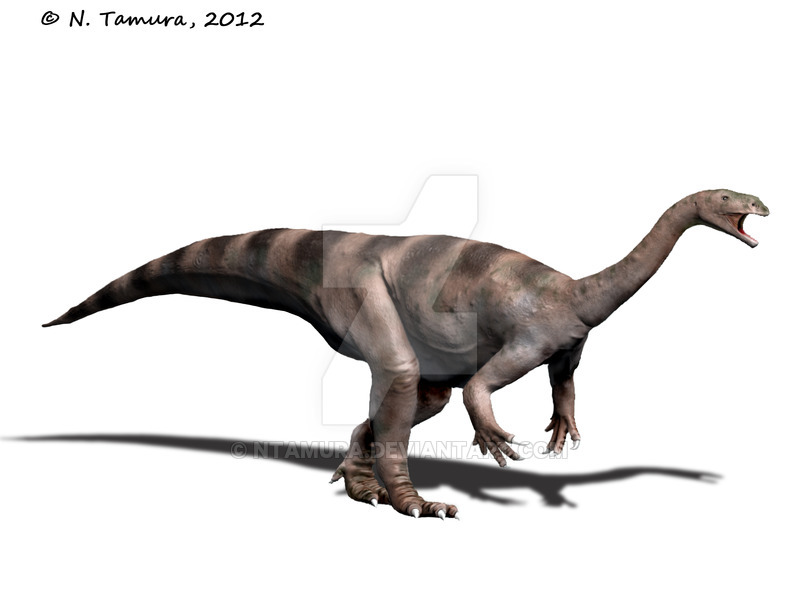 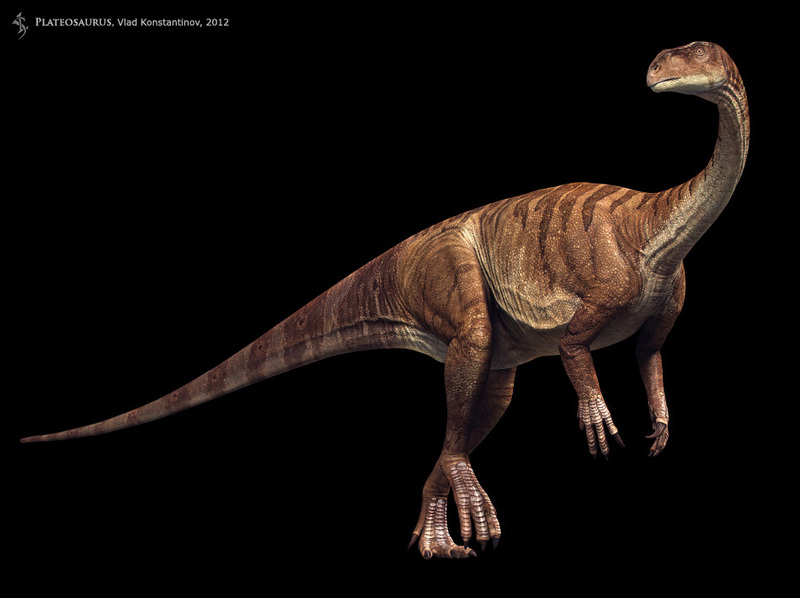 Plateosaurus was a bipedal herbivore that is believed to have lived off of a diet of cycad, confiers and club ferns. 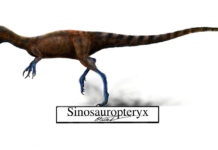 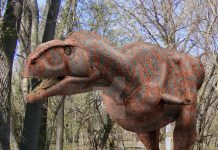 It had sharp teeth that would allow it to tear off pieces of this plant material to eat, but this dinosaur didn’t possess any teeth that were capable of grinding plant material. 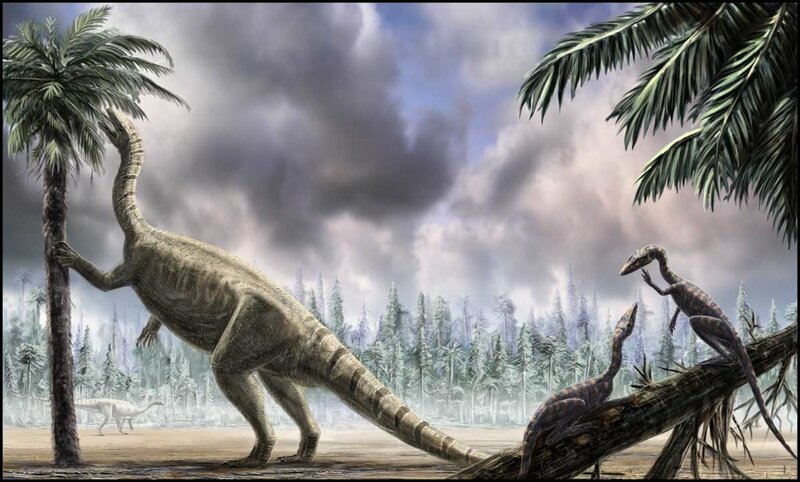 That is why some people speculate that this dinosaur may have swallowed stones—also known as gastroliths—that would help it grind down the plant material in its stomach so its body could readily absorb it. 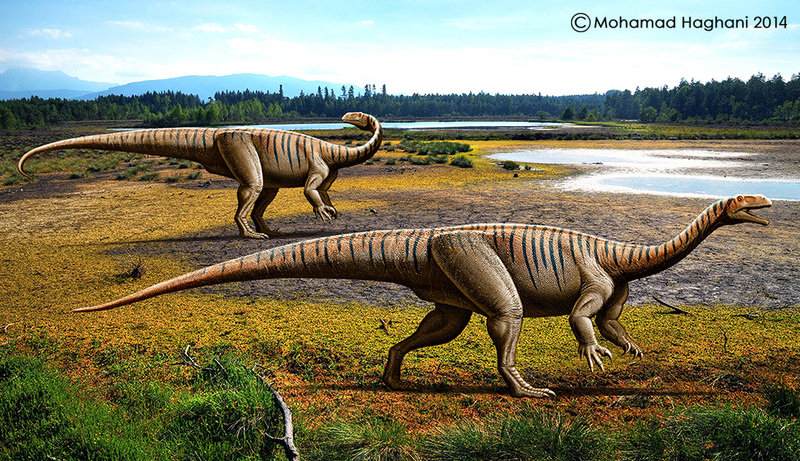 Most paleontologist believe that these dinosaur were probably some of the dumbest animals to ever exist. 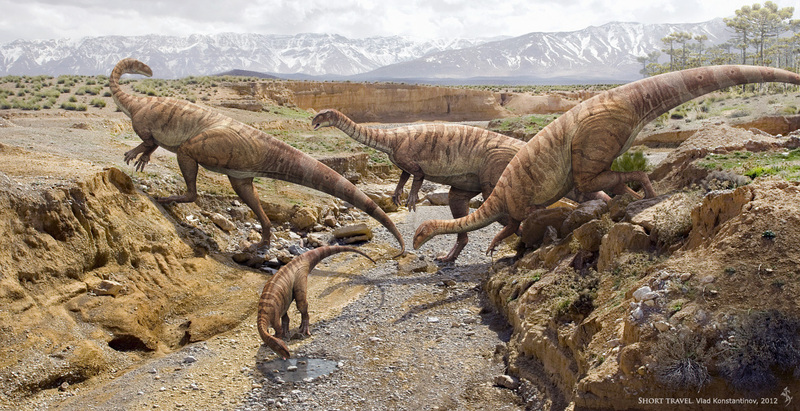 However, it is believed to have been pretty fast, so that would have helped it to avoid predators. 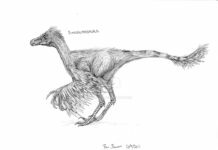 Based upon its legs, some paleontologists believe it could achieve speeds of up to 40 MPH.